Is there a waterfall in Orion? 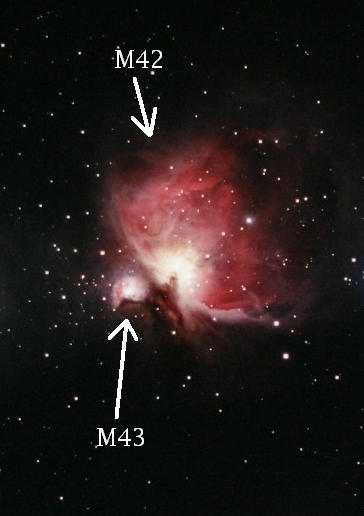 No, but some of the dust in M43 appears similar to a waterfall on Earth. M43, part of the Orion Molecular Cloud Complex, is the often imaged but rarely mentioned neighbor of the more famous M42. M42, which includes many bright stars from the Trapezium cluster, lies above the featured scene. M43 is itself a star forming region and although laced with filaments of dark dust, is composed mostly of glowing hydrogen. 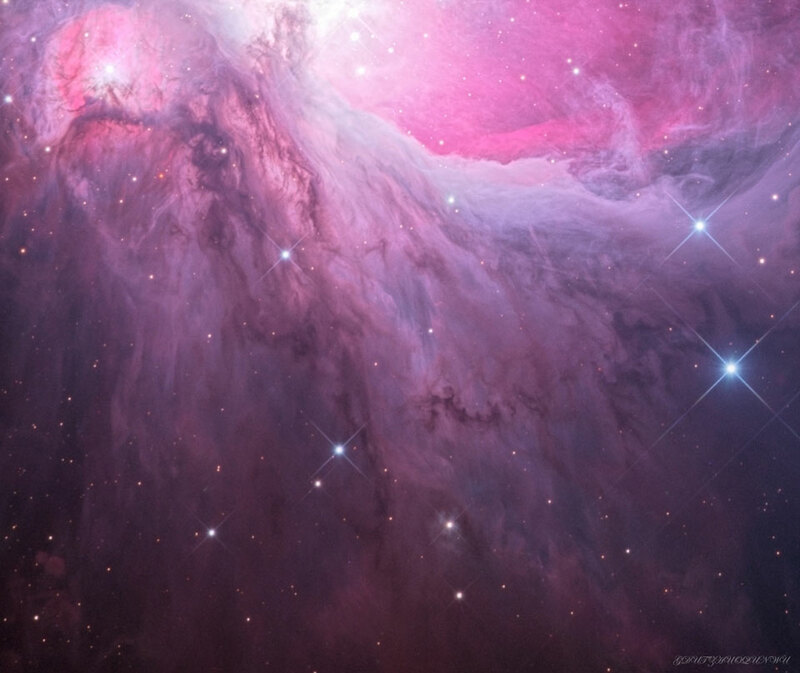 The entire Orion field, located about 1600 light years away, is inundated with many intricate and picturesque filaments of dust. Opaque to visible light, dark dust is created in the outer atmosphere of massive cool stars and expelled by a strong outer wind of protons and electrons. Posted on Wednesday, 12 December 2018 by VGC	This entry was posted in ifttt-photograph and tagged IFTTT, NASA. Bookmark the permalink.